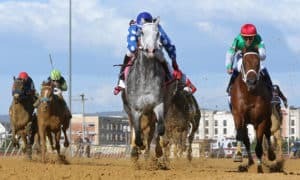 The action on the Kentucky Derby Trail was fast and furious over a half-hour’s time last Saturday. 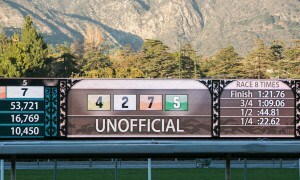 I think that the Santa Anita stewards’ decision in the Grade 2 San Felipe Stakes took longer to finalize than it took to run three Derby points races at three different tracks from coast to coast! Plenty will be written about whether or not McKinzie should’ve been taken down from the win slot in the San Felipe after getting his head down at the wire versus Bolt d’Oro following a stretch-long battle. In the end, these are the two best horses on the Derby Trail right now. We won’t let the stewards’ decision ruin that. With the Derby Trail Tracker, we always have our eyes on the future and don’t dwell on the past. 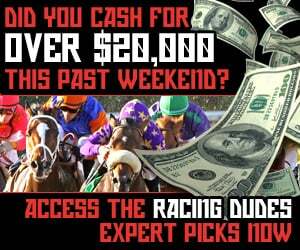 What we’ll do this week is try to sort out what the action in the San Felipe, the Grade 3 Gotham Stakes, and the Grade 2 Tampa Bay Derby really means for the upcoming final round of Derby points races and the actual Kentucky Derby. We’ll let bygones be bygones and figure out what Saturday’s results tell us going forward. Where will they go now? Trainer Bob Baffert was outwardly upset after McKinzie was disqualified for veering out by two paths on Bolt d’Oro in deep stretch. Baffert was so upset after the race that he said he may not bring McKinzie back for the Grade 1 Santa Anita Derby, and instead, ship him out of town. Most likely (based on Baffert’s past preferences), this would mean a trip to Oaklawn Park for the Grade 1 Arkansas Derby on April 14. 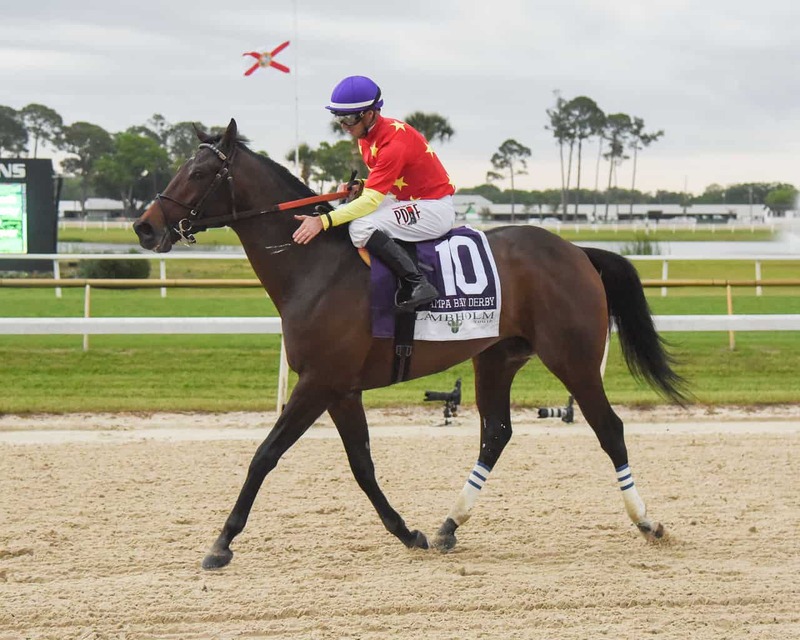 The Arkansas Derby would give McKinzie an extra week to rest from a grueling stretch run in the Santa Anita mud versus Bolt d’Oro, but it would also only provide a three-week lead-in to the Kentucky Derby. 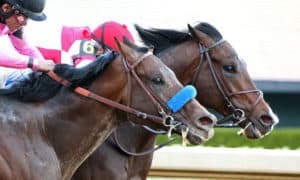 With 40 points accumulated towards the Derby, McKinzie has likely already clinched his spot in the Churchill Downs’ gate on the first Saturday in May. Baffert has one of his other top 3-year-olds, Solomini, pointing to the Grade 2 Rebel Stakes at Oaklawn Park this Saturday. Baffert has made it a priority to split these two up on the Derby Trail after they went head-to-head in the Grade 1 Los Alamitos Futurity Stakes in December, so any decision about McKinzie’s next start will be predicated on how Solomini takes to the Oaklawn dirt. When it’s all said and done, McKinzie may just end up running in the Santa Anita Derby. In the meantime, owner/trainer Mick Ruis’ plan to get Bolt d’Oro to the Santa Anita Derby in one piece looks intact. The target has always been the Santa Anita Derby for Bolt d’Oro, and after some hiccups (a pulled muscle in late 2017 and jockey controversy in early 2018), he looked stronger than ever in the San Felipe. 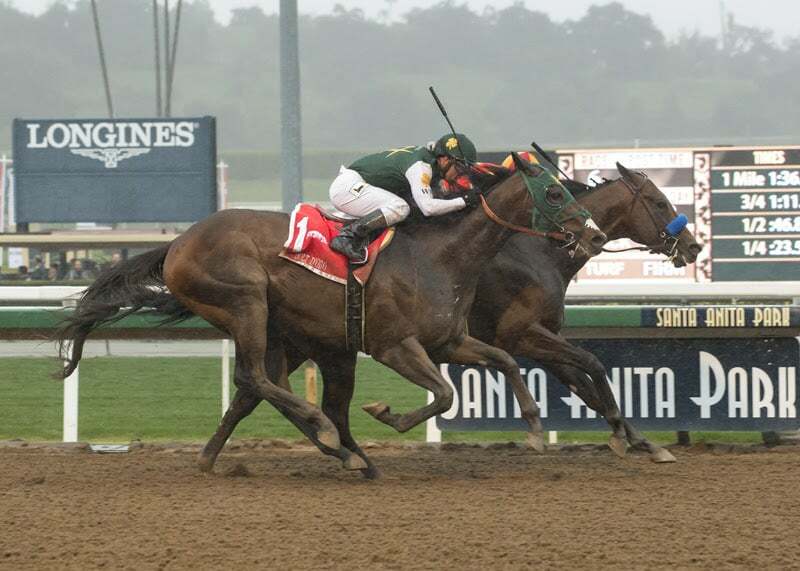 Bolt d’Oro was unable to get by McKinzie in deep stretch, but we’ll never know if the way McKinzie, under jockey Mike Smith, floated him out was really the difference. Either way, jockey Javier Castellano showed that Bolt d’Oro can stalk, pounce, and is “push-button” when asked. Additionally, with being awarded the win in the San Felipe, Bolt d’Oro has now earned 64 total points to the Kentucky Derby, clinching himself a spot in the Run for the Roses. 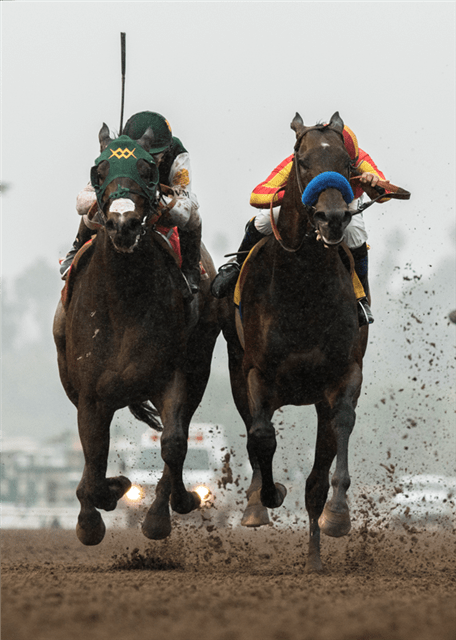 The McKinze vs. Bolt d’Oro hype swelled before the San Felipe, and when they meet again (possibly in the Santa Anita Derby), the anticipation will expand to a fevered pitch. 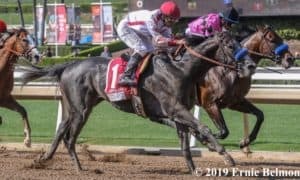 The crazy San Felipe stretch duel and subsequent ruling dwarfed the earlier results on the Derby Trail on Saturday, but there were some good performances that need to be evaluated. Enticed returned to form to win the Gotham at Aqueduct, stalking wide in mid-pack into a relatively quick pace. Under jockey Junior Alvarado, Enticed lumbered home the final 1/4-mile in a dawdling :26.47, which didn’t exactly inspire notions that stretching out from this one-turn mile will be his strong suit. The win wasn’t visually stunning, either. He passed the tiring, front-running, 35/1 longshot Old Time Revival in mid-stretch, then flip-flopped leads. All of this, plus the fact that Alvarado took the pedal off the gas once he cleared Old Time Revival, means it’s tough to know how much horse he had left. There are reasons to believe that Enticed will continue to progress on the Derby Trail, though. Trainer Kiaran McLaughlin was quick to say after the race that Enticed would point to the Grade 2 Wood Memorial on April 7 as his final Derby prep. With the Wood run at 1 1/8 miles, it’s a quick stretch-out for Enticed, but he’s a proven router, having won the Grade 2 Kentucky Jockey Club Stakes over 1 1/16 miles at Churchill Downs to end 2017. 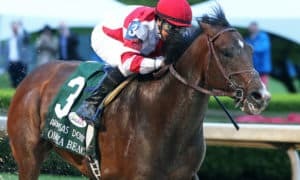 The Kentucky Jockey Club has become a key race, having produced three other 50-point Derby prep race winners (Quip in the Tampa Bay Derby, Promises Fulfilled in the Grade 2 Fountain of Youth Stakes, and Bravazo in the Grade 2 Risen Star Stakes). Additionally, the Godolphin homebred Enticed has plenty of distance influences on both sides of his pedigree. As a son of the 2002 Belmont Stakes runner-up and multiple graded stakes winner Medaglia d’Oro, Enticed has a good distance sire and is out of the mare It’s Tricky, herself a multiple graded stakes winner, including the 2011 Coaching Club American Oaks at this 1 1/8 mile distance. The Derby Trail Tracker shows that other probables for the Wood Memorial include Old Time Revival, fourth-place Gotham runner Firenze Fire, and the impressive maiden winner Westerdale for trainer Tom Morley. Trainer Todd Pletcher has announced his intentions to point Vino Rosso to the Wood after finishing fourth in the Tampa Bay Derby. Keep checking the Derby Trail Tracker to see who else announces their plans to run in New York’s biggest Derby prep, as I update the Tracker daily. The San Felipe and the Gotham both had honest, quick paces, but the same can’t be said for the Tampa Bay Derby. With splits of :24.54, :49.48, and 1:13.78 for the first 3/4 of a mile, the Tampa Bay Derby was a turtle-like pace, which was surprising because of the good early speed that was entered. The early speed just went slow. The fast World of Trouble set the pace, while Quip was satisfied to stalk throughout. Off of a three-month layoff, Quip sharply took over in mid-stretch to win under jockey Florent Geroux. The stretch-out for World of Trouble was a bit too far for the very promising 3-year-old; his success will likely come in the sprint division. After sitting in third for most of the race, Flameaway was also able to overtake World of Trouble late to get up for second, following up on his Grade 3 Sam F. Davis Stakes win over the same Tampa Bay Downs oval last month. World of Trouble settled for third. In another “merry-go-round” where no horses were making up ground late and featured a slow pace (similar to the Risen Star and the Fountain of Youth), it’s difficult to get too excited about Quip until we see him race again. 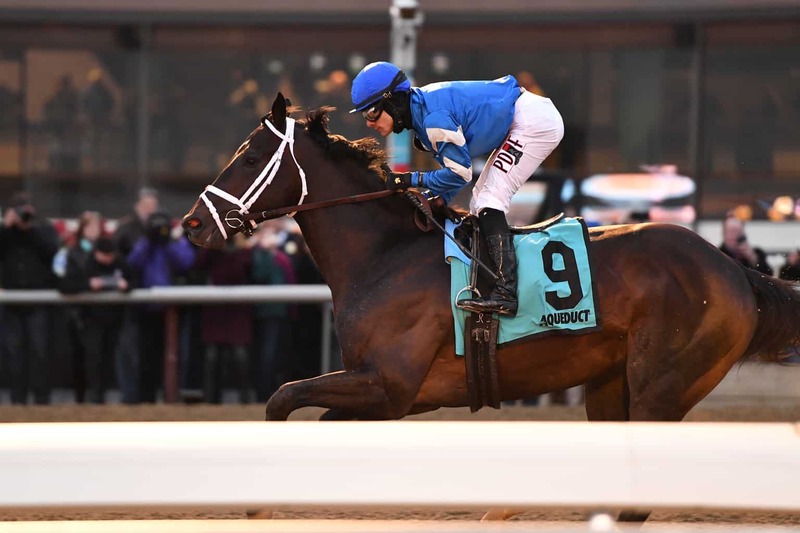 According to trainer Rodolphe Brisset, Quip will run next either in the Wood Memorial or the Grade 2 Blue Grass Stakes at Keeneland, both scheduled for April 7. Trainer Mark Casse will point Flameaway to the Blue Grass. Speaking of which, the Blue Grass is coming up strong, with probable entries that include the Juvenile champion Good Magic, looking to get back on track, and Free Drop Billy, last seen exiting the Gotham with a third-place finish. Check the Derby Trail Tracker for other possible Blue Grass entries. 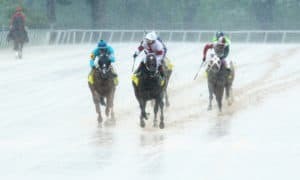 Taking an early look at the Derby pace scenario after last weekend’s results, the mid-pack group is starting to become clearer. Bolt d’Oro, McKinzie, and Enticed all can show good speed and rating ability, which will come in handy when looking for that sought-after Derby stalking position. Enticed has clinched his spot in the Derby starting gate with 63 points compiled to date. Quip has also clinched a spot in the Derby after earning 50 points in the Tampa Bay Derby. He will add to the speed horses assembled for the Derby that includes Bravazo (54 points) and Promises Fulfilled (52 points). Flameaway now has 30 points towards the Derby and is close to clinching a spot if he can hit the board in the Blue Grass. Flameaway was bumped at the start of the Tampa Bay Derby, or else he might’ve been more forwardly-placed, as he was in the Sam F. Davis. Flameaway would add to the increasing up-front Derby pace, especially if recent runner-ups Strike Power (20 points) and Snapper Sinclair (22 points) can clinch spots in their next starts. Strike Power is expected to run in the Grade 1 Florida Derby on March 31, while Snapper Sinclair is being pointed to the Grade 2 Louisiana Derby on March 24. If Old Time Revival’s (20 points) runner-up finish in the Gotham wasn’t a longshot fluke and he can hit the board in the Wood Memorial, then he would also add heat to the Derby pace. 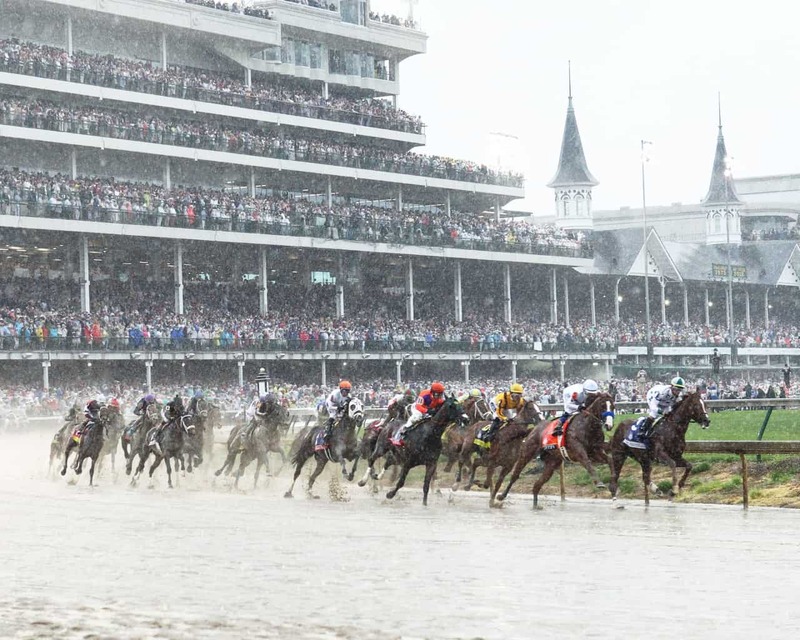 With an abundance of speed either already clinched or in place of securing spots in the Derby gate, a third-flight horse like Free Drop Billy (24 points) or a closer like Firenze Fire (29 points) may come running late to pick up the pieces and spice up the trifecta and/or superfecta under the Twin Spires. For more updates on the Derby Trail, follow me on Twitter @SaratogaSlim and search for the hashtag #DerbyTrailTracker as the Derby creeps up on us!